A windfall is an unexpected blessing for those not familiar with the term. I’ve had some in my life, but last summer’s windfall takes the prize! I was reminded of this story tonight as I watched our barn swallows zooming around catching their dinner, because surprisingly they play a minor but significant role in this true tale. “Yes! Praise God!” he yelled and laughed with glee. “Its insured for $35,000!” The timing couldn’t have been more perfect. 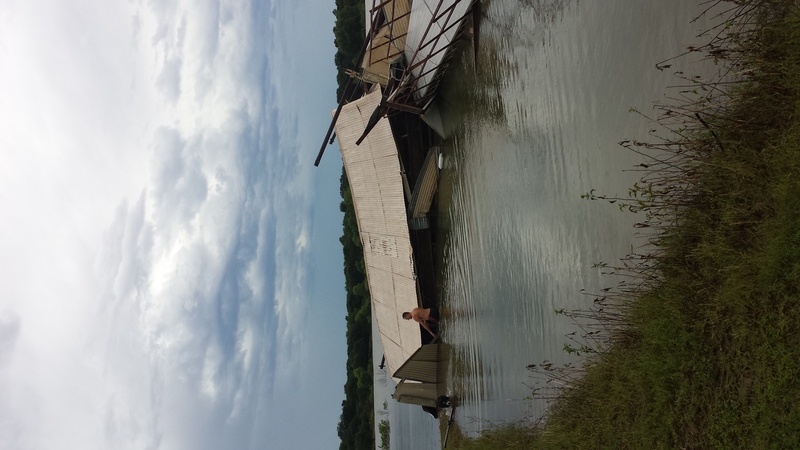 We truly needed a new boathouse and God just took $35,000 off the tab! But wait, what about our jetskis and small boat? Well, normally they are in the boat house, but not this time because we didn’t have time to put them all up before the work week started after our huge July 4th party. All but one were sitting on the shoreline with no damage. Upon further inspection, we realized the house was fine, and our trees were fine. 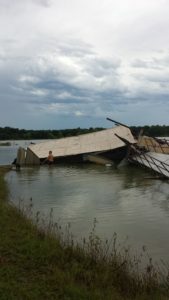 Just our boathouse had been completely totaled! Well David went into the wreck to see about the last jetski. He found it at the tallest place in the wreckage with the roof two inches above its handlebars with no damage! 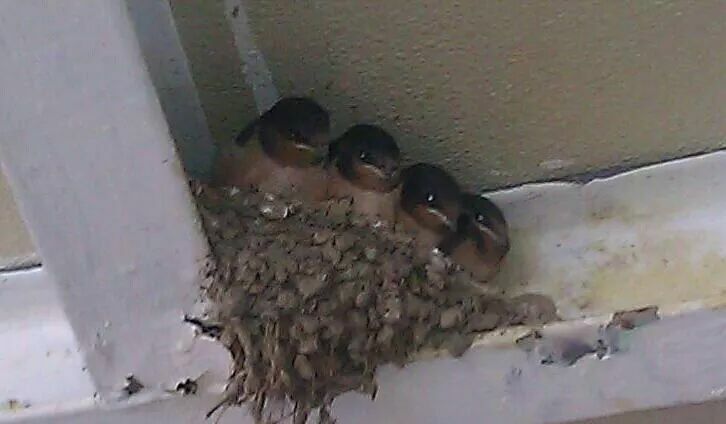 In all this greatness, I still felt a twinge of sadness for our faithful barn swallows that nest every year in our boathouse and raise 2 broods every summer. Where were they? Where were their fledglings? Where was their nest? It didn’t look promising because their nest was attached to the roof beams. But David gamely went in to find out. He emerged from the wreckage, “Its still there! The nest is sitting unharmed about two feet above the water!” In a few days I could see them flying in and out of the wreckage. They stayed until it was time to leave for winter. God is a good Father and if nothing else, he knew I cared about our swallows. So its almost a year later and our shiny new boathouse is complete. I would casually wonder if our traumatized birds would return or move on, but about 4 weeks ago, they returned and then just sat around in the new boathouse as if reassessing the possibilities. “Where to build?” Finally a decision was made – in the exact same spot as the old nest only its three feet higher because our roof is taller! Funny birds! This was our prize winning “windfall” at the speed of 70mph. I hope this true tale encourages you and raises your faith in our Good Good Father.